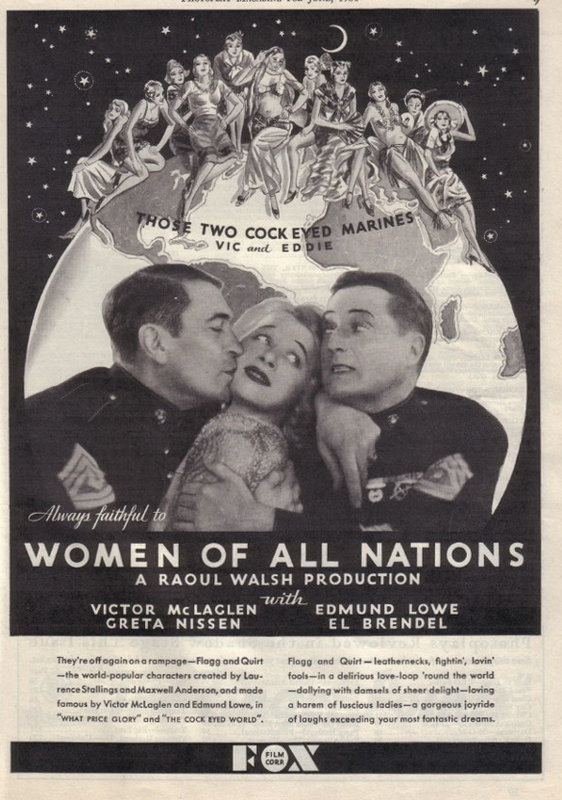 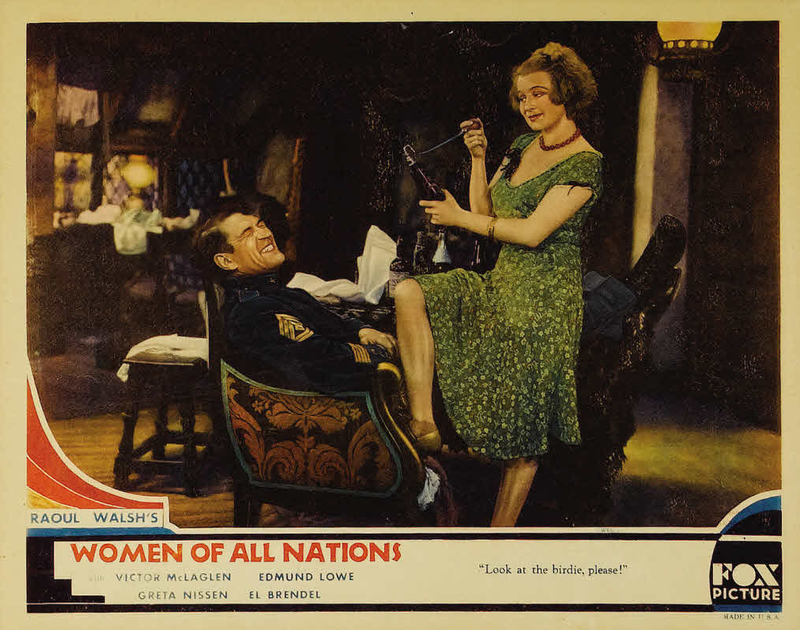 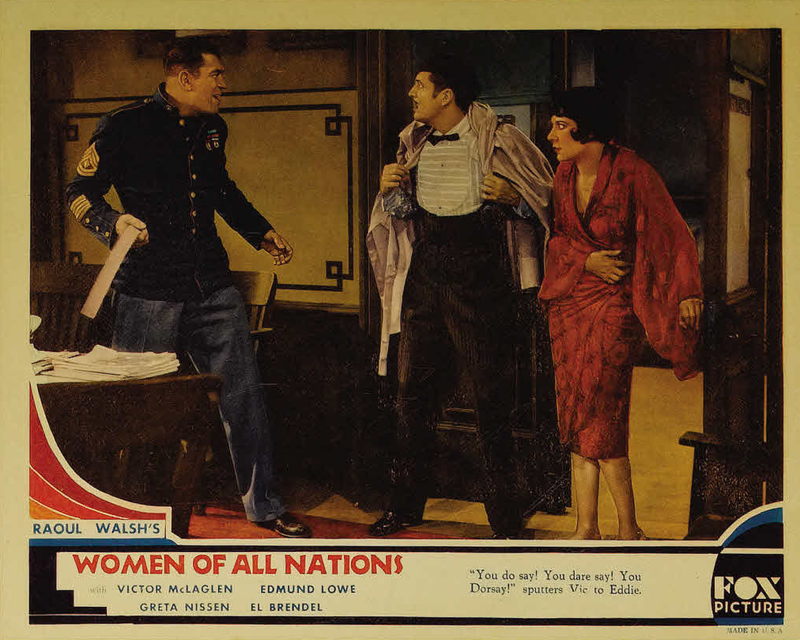 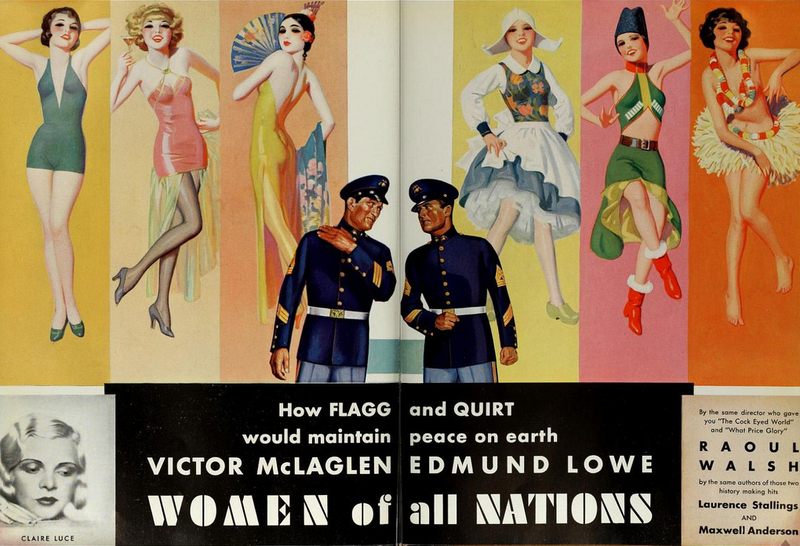 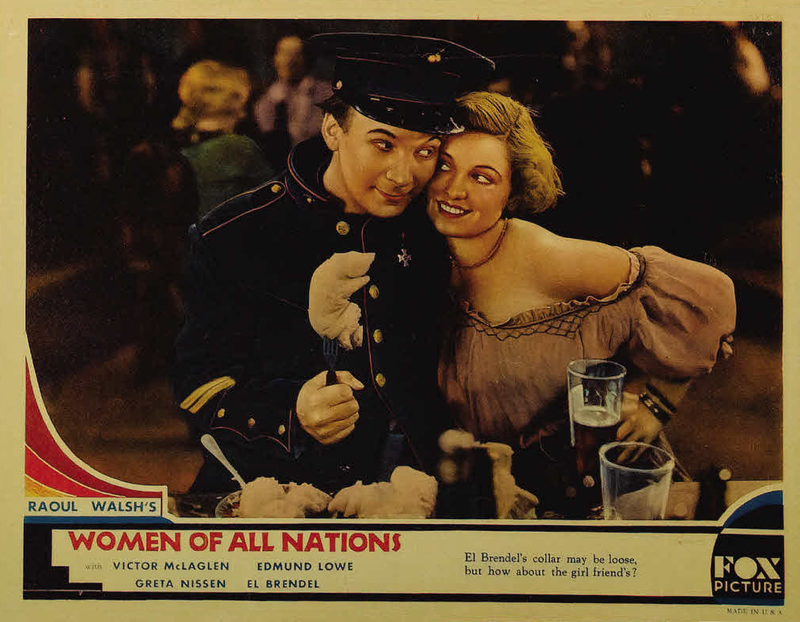 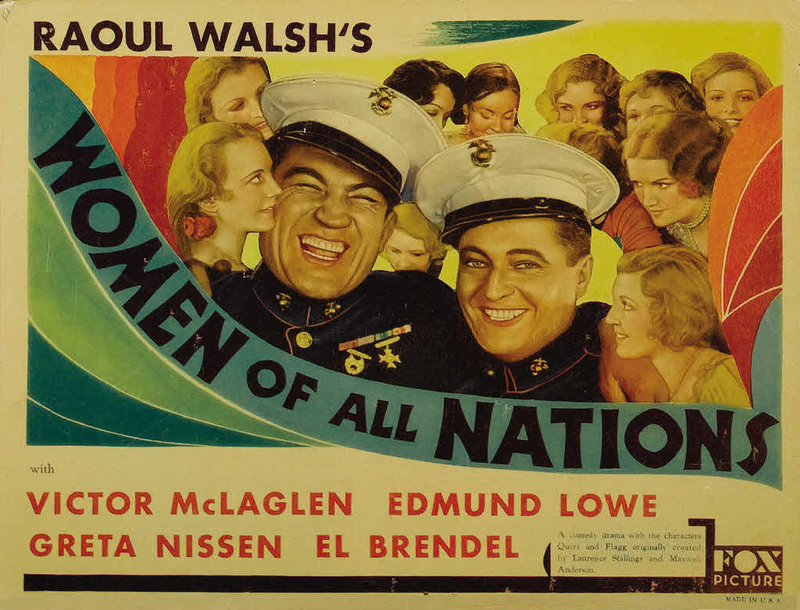 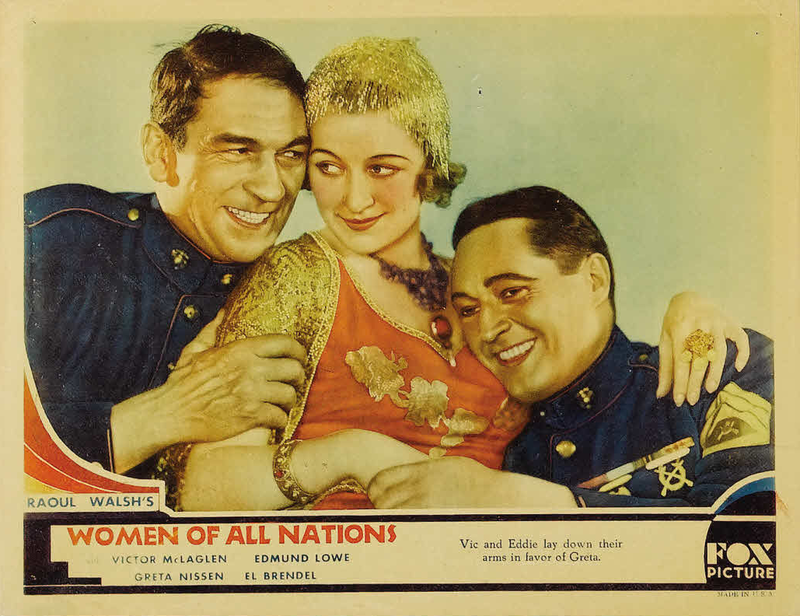 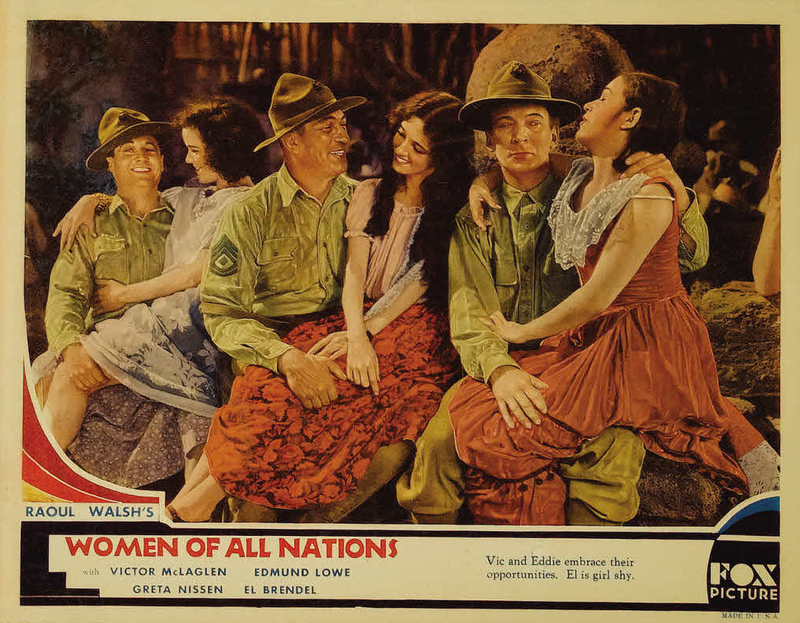 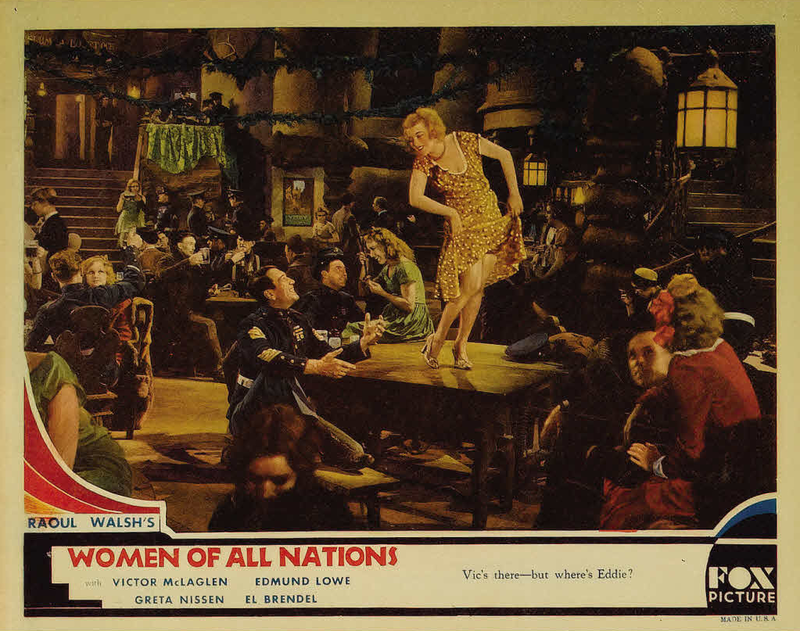 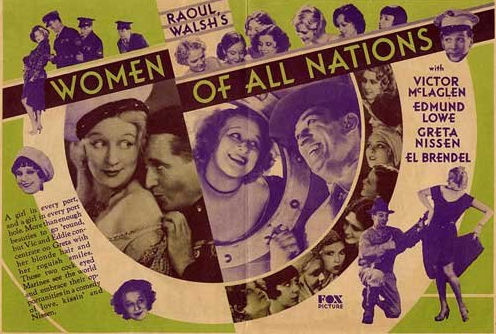 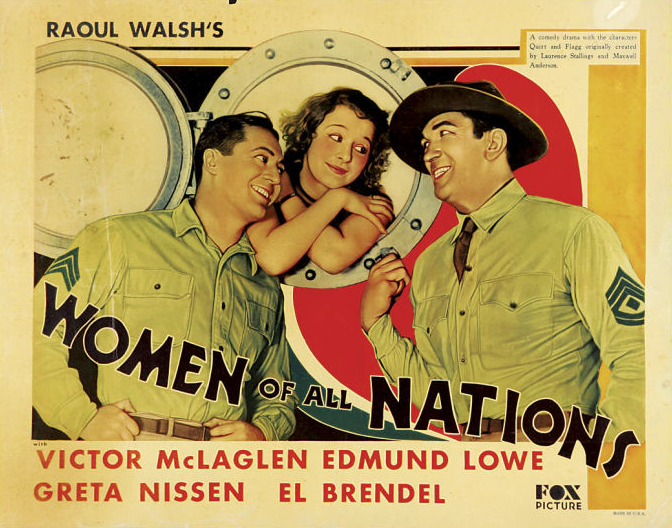 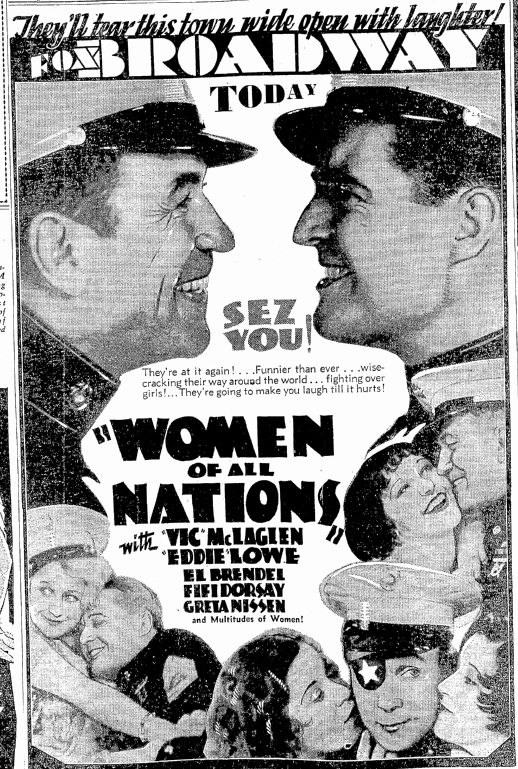 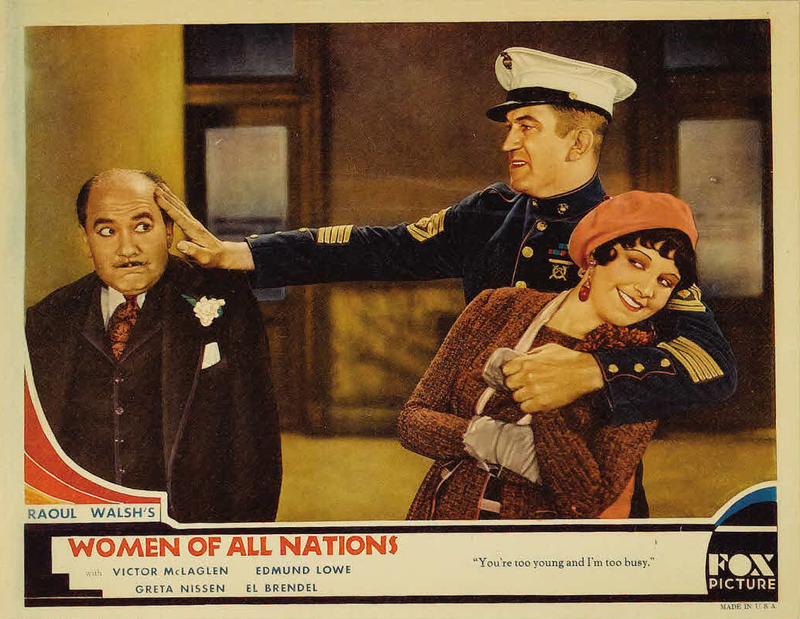 Based on Characters created by Laurence Stallings and Maxwell Anderson, Women of all Nations was the the third film to feature the characters of Jim Flagg and Harry Quirt. 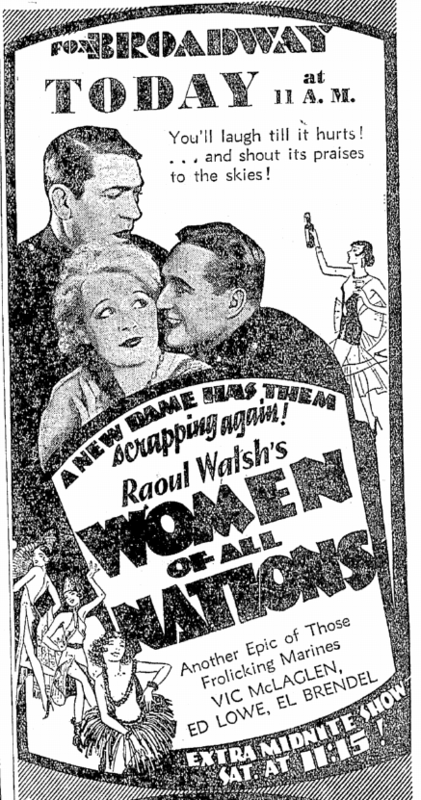 Although listed in the credits, all of Humphrey Bogart’s scenes were cut prior to the film’s release. 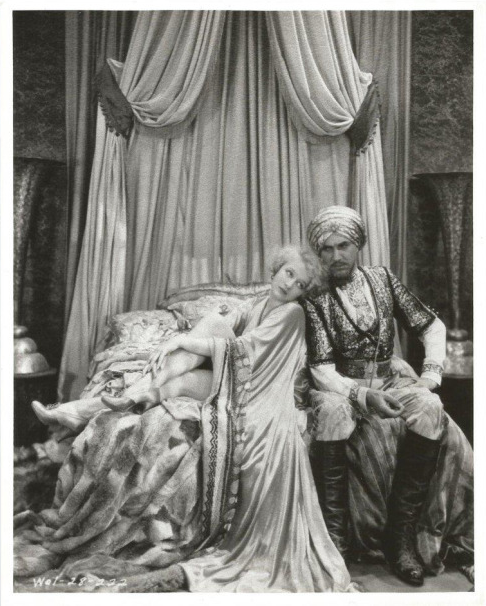 Bela Lugosi appears as a prince with an harem. 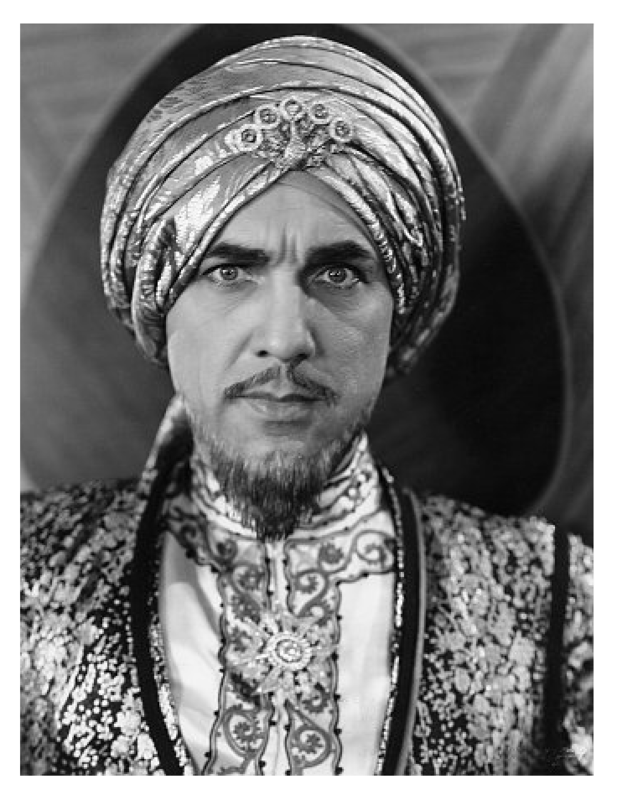 According to the contract which he signed on March 7th 1931, Lugosi was paid $1000 per week for his role. 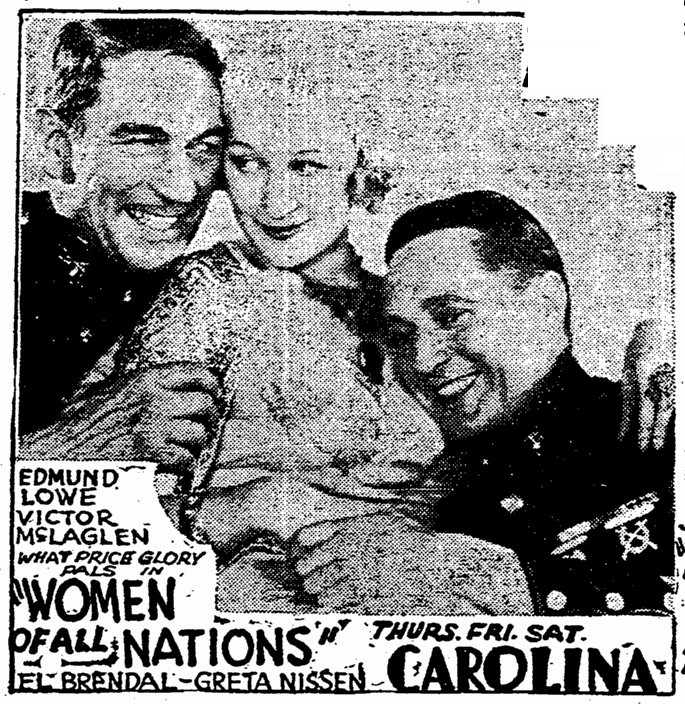 Lugosi and Edmund Lowe appeared together in The Silent Command (1923), Chandu the Magician (1932), Gift of Gab (1934) and Best Man Wins (1935).